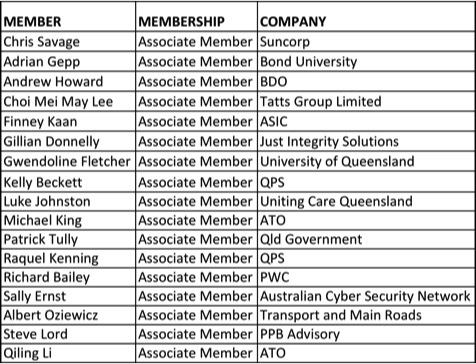 Inclusion on the list of members is purely voluntary. 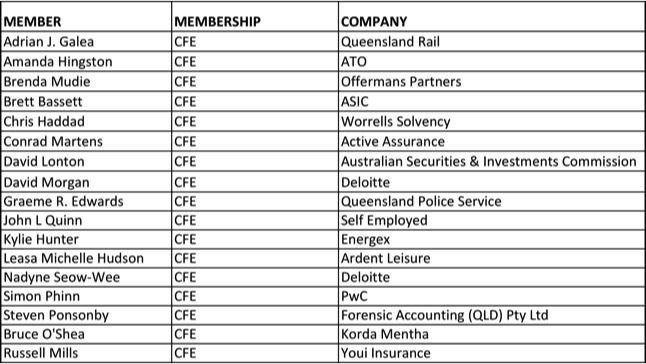 If you like to be included on this list and receive details of training and other events, just indicate this on your membership application form, or email us on secretary@brisbaneacfe.org. If you have changed your contact details, or are seeking to get in touch with one of our CFE’s, Associates, or Affiliates, please contact secretary@brisbaneacfe.org.